One of the most often overlooked tasks of any startup is developing a viable and effective pricing strategy. Whether your business provides products or services, the price you charge for those can make or break your bottom line. 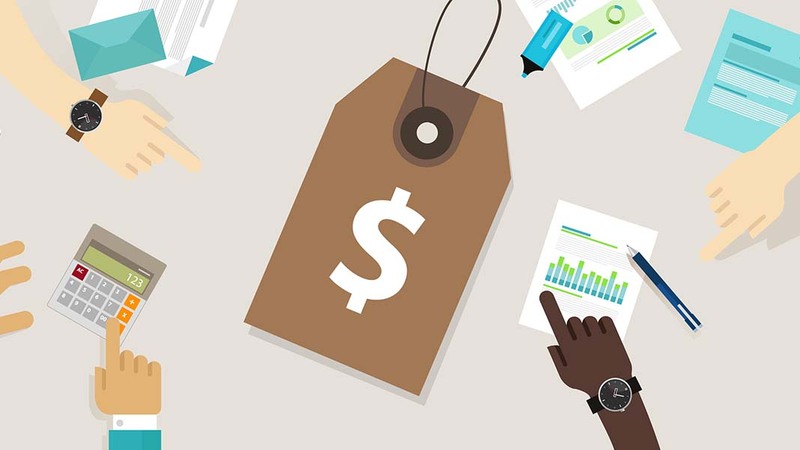 There are a number of considerations you should take into account when determining a pricing strategy for your new business. Making proper valuations means knowing what price the market will bear for your products or services. You do this through research. Generally, you need to find out what other companies charge for similar business offerings, then price yours accordingly. But there’s more to it than just checking competitors’ prices on the internet. You also need to understand the relationship your customers have to your own offerings. Your customers may put a higher value on something you offer that they wouldn’t in someone else’s services. Or your product might have a new or slightly different feature that customers are willing to pay more for (or not). That’s why test marketing can be invaluable in determining pricing. You get a better understanding of the relative value of your products or services before you print pricing on packaging or post it on the internet. The price you charge for your business offerings can telegraph something about the quality customers can expect from you. If your pricing is rock bottom, then customers typically believe that they’re exchanging a bit of quality for value, which is maybe all they’re looking for. If your goal is to sell a lot of goods cheaply, or get as much volume as possible through the door to build a client base, then perhaps low pricing is where you should be. On the other hand, if your pricing is high-end, then customers expect the best from you. Think Apple or Whole Foods. Certain customers are willing to spend more on quality, and that’s fine too, if your business model supports higher price points that generate larger chunks of revenue from what potentially could be fewer customers. The prices you place on your offerings should match the image you want to create. If you want to be seen as a business that offers both quality and value, then your pricing will fall somewhere in the middle. Pricing should not be a “one and done” job. It should be part of an ongoing strategy that takes into account shifting marketplaces, changes in the economy, the strength of the competition, and even potential legislation that might impact what you offer. So, it’s important that you continue to reevaluate your pricing at regular intervals. Keep asking key questions: Should we offer pricing discounts, either to first-time customers (to get them in the door) or to specific customer groups (as in loyalty rewards or “friends and family” discounts)? Do we have excess product that we need to move because it’s taking up expensive storage space? Is there a new competitor just down the street that we need to match price? Should we never discount our products and services because that might make them seem inferior or outdated? At what point do we raise prices? Business startups should develop a clear strategy going forward, and then be willing to change it as conditions dictate. Whatever your pricing strategy, it should be linked to your overall financial plan. Perhaps it’s stating the obvious to say that pricing directly impacts the bottom line of your business, as that’s what generates profits. But you would be surprised at how many fledgling companies fail to understand how pricing, especially its potentially changing characteristics, can affect core financials throughout the year. A trusted accountant can advise you on setting realistic financial goals driven by a robust pricing strategy. Your accountant may understand certain aspects of your business even better than you do, and can provide an unbiased view on your financial plan.